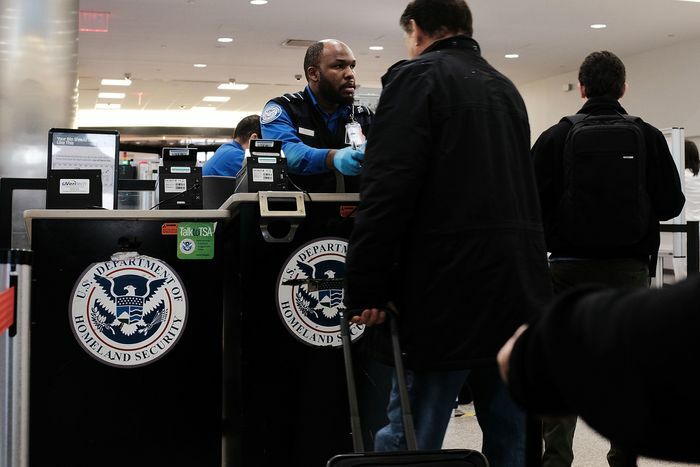 Two Weeks Into Shutdown, Hundreds of TSA Agents Have Stopped Showing Up for Work – Eric Levitz@EricLevitz5:25 P.M.
Donald Trump recently suggested that he has the upper hand in the government shutdown fight because “most of the people not getting paid are Democrats.” By this, the president meant that his party depends less on the support of federal workers than Chuck Schumer’s does, and that Democrats will therefore have a harder time standing their ground during a prolonged shutdown than he will. Beyond the moral odiousness of this position, there was one strategic flaw in Trump’s reasoning: Precisely because they’re aligned with Democratic Party, public-sector unions are likely to be more willing to engage in work stoppages under a GOP president than they might be under a pro-labor one. Two weeks into the shutdown, formal labor militancy has yet to materialize. But an informal pseudo-strike is already taking shape at America’s major airports.